Happy New Year! Lots of great things to come for my blog as it is undergoing a makeover for the new year. It will be much more user-friendly and easier to navigate through my recipes, etc. Stay tuned as it should be complete in the next few weeks! We rang in 2012 at a friend's condo and it was a blast. 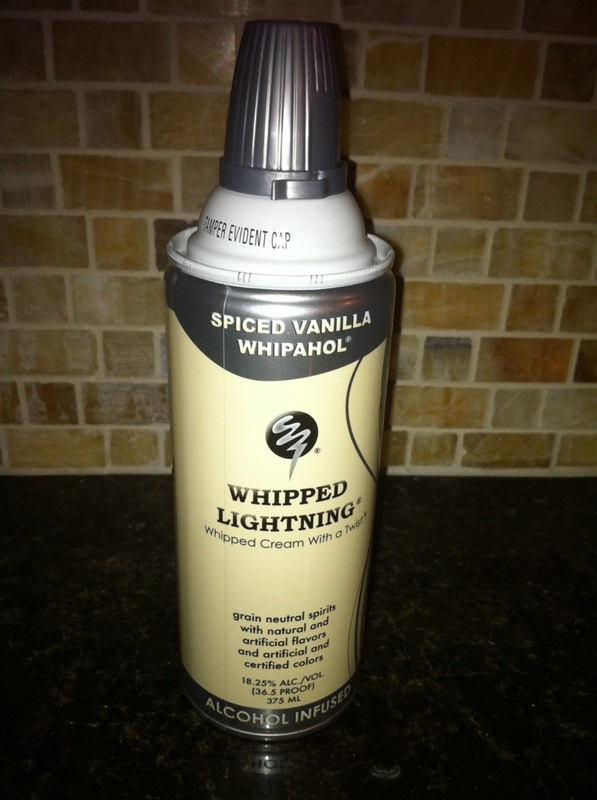 I had to share with you this awesome alcoholic whipped cream that we brought to put on top of our drinks. It was gone before we could even blink our eyes. To be honest, I would not recommend this flavor because it was very strong, hence the 36.5 proof. However, it comes in other flavors such as White Chocolate which I think would have tasted better. Spec's was sold out of the White Chocolate flavor so I am sure it is good. If you are looking for something fun to bring to a party, I highly recommend this because it will be a huge hit! Retail at Spec's is $9.95 (a bit pricey but worth it! ).